The ocean salmon season will kick off this weekend in Marine Area 1, and it opens in Marine Area 2 on July 1. Wendy Beeghly, the coastal salmon manager for the Washington Department of Fish and Wildlife, was non-committal when she was asked how good the salmon fishing would be this year. Projections for Chinook and coho off the coast are not indicative of a great run. 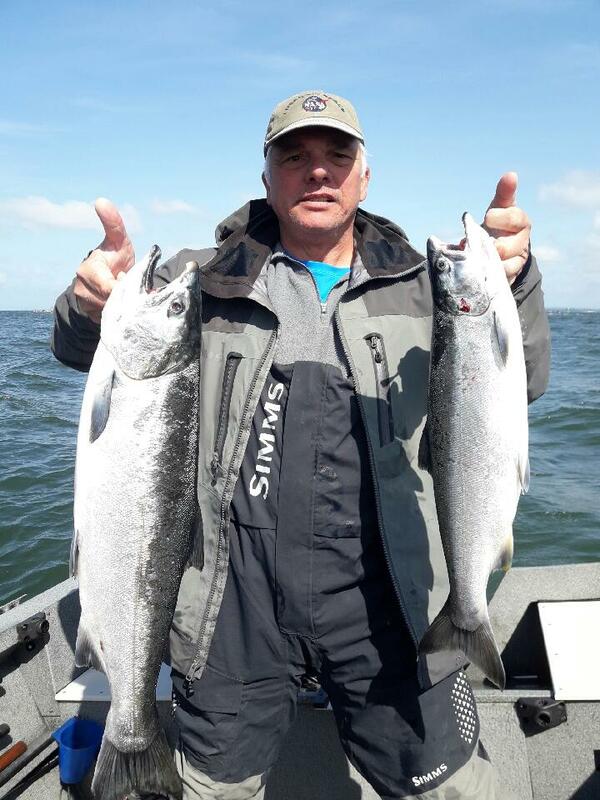 Numbers of the highly prized Chinook, or king salmon, should be noticeably less than last year, although coho, sometimes called silvers, have numbers that are about the same as last year. Beeghly also referred to the fact that numbers aren’t always the deciding factor. In Marine Area 1 (Ilwaco), fishing for salmon will run from Saturday to Sept. 3 if the quotas hold up. Fishing will be open every day of the week. In Marine Area 1, the quotas are 21,000 coho and 8,000 Chinook. In Marine Area 2, (Westport), anglers can start fishing on July 1 and fishing will be open Sundays through Thursdays until Sept. 3, unless anglers burn through the quota quickly. Marine Area 2 will be fishing toward a coho quota of 15, 540 and a Chinook quota of 21,400. In both marine areas, there is a two salmonid limit, only one of which can be a Chinook. All coho retained must be of hatchery origin with a healed adipose fin-clip. All wild unclipped coho must be returned unharmed. Chinook fishing is non-mark selective and any Chinook may be kept. Westport Charter’s Kelly Westrick says that the charter fleet captains are expecting pretty good things this year. 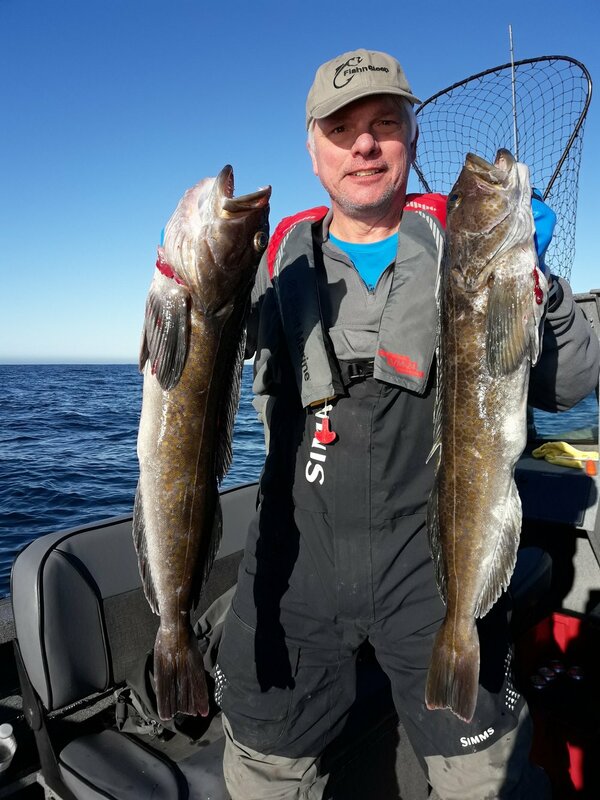 Steve Watrous is a hard-core angler who sits on the WDFW Anadromous Fisheries Advisory Board and the Columbia River Advisory Group. He takes 20 to 30 trips a year off the south coast of Washington for salmon. He said if anglers start to catch good numbers of Chinook farther north along the coast, up by Neah Bay, that could mean good things for south coast angling. He reports that Chinook fishing out of Westport “lit up” early for Chinook, but they were tough to find later. Usually the main body of Chinook show up near the north jetty of the Columbia in August. However, last year they did not follow their usual pattern. Butch Smith of Coho Charters in Ilwaco theorizes that ocean conditions were the reason late Chinook fishing was so slow. “Last year hypoxia in the ocean forced the Chinook outside instead of them coming down the beach like they usually do,” said Smith. Hypoxia is a term for oxygen-poor water. In order to find oxygenated water, the fish were forced to move well offshore and come in straight to the mouth of the Columbia. However, he agreed the early fishing for Chinook was quite good. 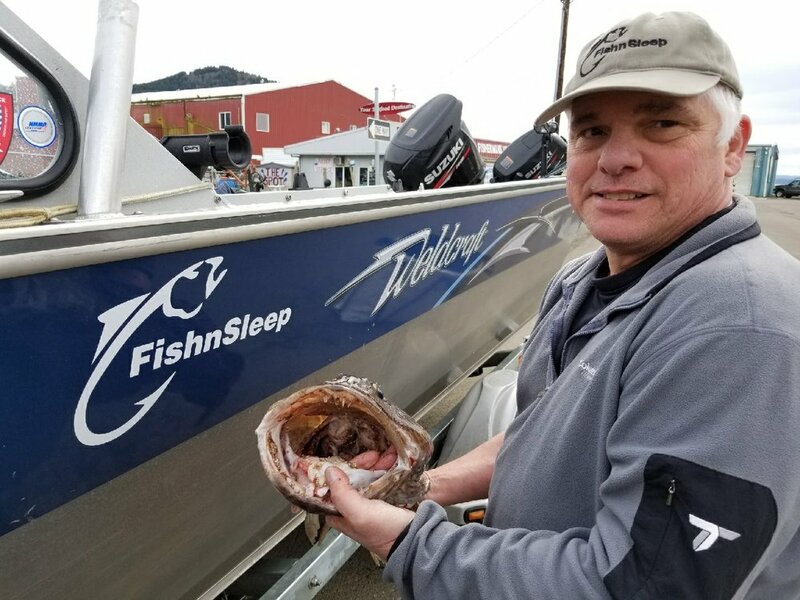 Pat Schenk is the captain of the “Legacy”, and a member of the Sea Breeze Charters fishing fleet in Ilwaco, and he is a proponent of getting with it once the seasons open. His advice? Go early for the best fishing. “Every time we take a fish out of the pool there are less to catch,” said Schenk. Will the fishing be good early, as it was last year? “I anticipate the same kind of thing this year,” Schenk said. Charter boats from the Westport fleet will mostly be mooching for the salmon, while the Ilwaco Captains tend to stick with trolling. Trolling is cruising under power and pulling the gear through the water. It is best when anglers are “hunting” for the schools of fish. The common set-up includes a diver, a flasher, and bait such as anchovies. Mooching, or drifting as it is often called, is simply vertical fishing with a sliding banana weight, a leader, and bait. Anglers simply drift along letting the baits work below. This is a good method after locating the schools of fish. 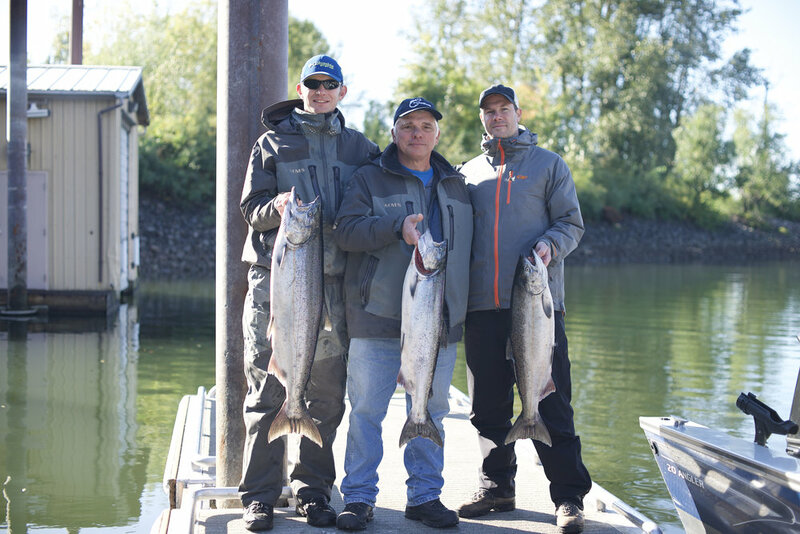 Coho anglers should see a season very similar to last year. The projections, quotas and seasons are pretty much the same. While the hot areas used to be a little farther out, recent seasons have seen the schools of silver salmon hanging out off of Long Beach. Smith thinks the coho fishing this year should be pretty good. “We did have some pretty good coho fishing last year,” he said. While the Chinook hold the spotlight, coho are easier to catch, and they tend to hang out higher in the water column, so fishing for them is easier. As the season gets rolling the ports along the coast will be busy places, as fishermen flock to the ocean to try and reel in a prized salmon. It is a festival atmosphere and deservedly so. What it is, simply put, is a lot of fun. Barbless hooks are required for all ocean salmon fishing. Always check the regulations before fishing any water.